The Honorable Chuck Ables was sworn into office by his daughter, Kara Stewart, on November 7, 2016 for his second consecutive term as Mayor. He served as a Council member from 2000 through 2012 and Mayor Pro Temp from 2008 until 2012. 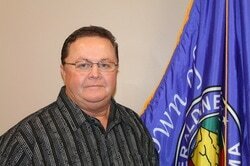 Mayor Ables was born February 12, 1950 to parents Ralph Everett Ables Jr. and Karl Marie Nichols Ables. He attended Geraldine School, grades 1-12, and graduated in 1968. He earned a Bachelor of Science Degree from Samford University in Birmingham, Alabama and did post-graduate work at the University of Alabama. While at Samford University, he met Katherine Everidge and they were married June 22, 1974. They have a daughter, Kara Stewart, who is married to Philip and they have four sons that are the fifth generation of Mayor Ables' family to attend Geraldine School. The Ables' also have a daughter, Katie McNees who is married to Jamie. Katie is the mother of their only granddaughter. 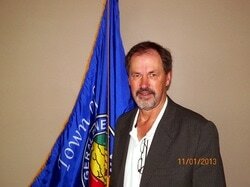 Councilman Lingerfelt was born in 1948 in the Antioch community northwest of Fyffe. He attended Green's Chapel Elementary School, Fyffe High School, Northeast State Jr. College, David Lipscomb University, and Alabama A & M University. He played basketball at Fyffe, Northeast Jr. College, and David Lipscomb University. Larry taught school for 39 years in Dekalb County -- three years at Valley Head High School and 36 years at Geraldine. Two of those years were in a split placement with Geraldine and Crossville. Larry was principal during the last 11 years at Geraldine. In addition to teaching, he operated a photographic studio for 27 years beginning in the early 70's. He and his wife Debra have three children: Lindsey & Lauren, who are both educators, and Leighton who is a student. 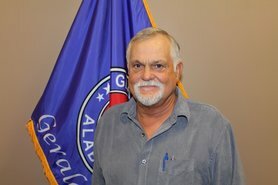 Following retirement, he began to teach online classes through the ACCESS program operated by the Alabama Department of Education. He has been a resident of Geraldine since the mid 70's and was elected to the Geraldine Town Council in the fall of 2012. He ran unopposed in the 2016 election and currently serves as Mayor Pro Tem. 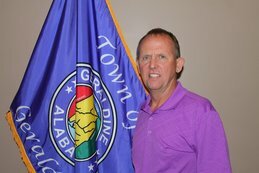 Councilman Rooks has been a resident of Geraldine for 14 years. He is married to Dodie Fuller Rooks. They have two sons, Judd and Ty. Stanley is a 1976 Geraldine High School graduate. He served seven years in the National Guard Armor Unit and currently works at Ross Graden Lumber Company in Albertville. Stanley plays the upright bass in a bluegrass group called Backwoods Revival. He is a lifelong fan of the Geraldine Bulldogs and the Alabama Crimson Tide. Stanley was elected for his first term as councilman in 2012 and was re-elected in 2016.